by Jessie Henshaw (10/79).General patterns of system growth & change. Revisiting a 1979 pattern language essay "An Unhidden Pattern of Events"
It's particularly gratifying to see this early scientific article of mine republished this way on the 35th anniversary of its original publication, within a self-published book of essays of the same title, in Oct 1979. The surprise was discovering I could closely observe how individual air currents developed, and follow the emergence of air and energy flow pathways within buildings. Their organized patterns evolved new forms every day, transforming again and again as the sun's energy changed directions through the day. That intensive immersion in observing eventful air current systems and how the designs of their organization emerging, was the basis for my then learning to recognize the same general pattern of growth and decay elsewhere, in growing systems for energy use having emerging complex system designs too. fyi See notes on my "Air Work" and my 2014 "state of the art " A New Natural Systems Approach"
appear that we really know quite a bit more about such things than we usually admit. "a universal pattern of pattern formation"
Events affect their immediate surroundings. When the effects on the surroundings affect later similar events, this forms a loop of effects, like the spark in a gas engine, which results in another spark. The succession of such loops form chains of loops. These chains of effects have clearly recognizable and frequent occurrence and significance in natural events. They are the substance of all patterns of a thing building up, continuing, or fading away of its own effects. I might have added, as in the lead of the next pp, that loops of effects are what we perceive from an hindsight view, tracing causations. In nature those chains of causation occur within environments that remain receptive to those causes, making the "whole system" as a "yin + yang" partnership of actor and host, that these growth and decay patterns can be used to locate and study. While these chains of behaviors of things reflecting on themselves through their context often have easily defined mathematical descriptions, it is generally quite difficult to work with them mathematically because of a lack of a formula for the broader context through which they flow. This lack of a formula for the context of events is the central reason for the clumsy floundering about of analytical methods when applied to natural events. The twist is that a brain works precisely from a relatively broad awareness of contexts[, comparing familiar dynamics of change in them, and so making it] and it is quite natural to develop a comfortable and flexible appreciation of and skill with these chains as they become recognized. Where should one start? How about with a couple of very ordinary behaviors. 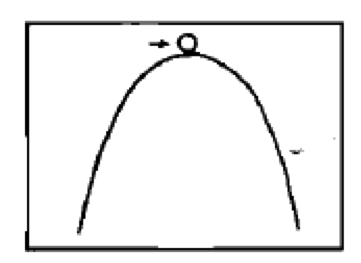 In the case of an ordinary ball (see figure) balanced on a peak or one resting on a horizontal plane, the self-effect on changing speed and position is constant until some influence changes that position. If given a little push, the ball on the peak rolls to steeper and steeper places on the surface and 'swoops down'. Its rate of speeding up speeds up as it speeds up. If the ball on the plane is given a push, it rolls slower and slower due to internal friction and air resistance according to its speed of rolling. As it slows, the resistance decreases and it slows slower and slower as it slows. These two characteristic behaviors, resulting from a little push in different situations can be called 'self-amplifying' or quickening, and ‘self-damping', or lingering progressions. 1) The glow of an electric light just turned off dims very quickly at first and dims more slowly as it dims. It's very quick, but you can see it if you look sharp. The bulb as a whole cools quickly at first and cools more slowly as it cools. 2) Air rushing from a punctured tire rushes out quickly at first and as the pressure drops, the hole gets smaller and the rush of air slows more and more- slowly and lingers. 3) A sound echoing dies away quickly at first and dies away more and more slowly as it dies away becoming just a faint, nearly indistinguishable shimmering of sound as it slowly slips out of reach. 4) Some memories fade away quickly at first and fade away more and more slowly as they fade into little unrecognizable whispers. 5) Political or social events, great and small, often [develop explosively with a wave of debate and also] die away very quickly at first [too] but almost always have lingering effects that die away more and more slowly as they die away. Often a small event whose importance fades away very slowly comes to have more significance in the long run than a great event whose importance fades away more quickly. Many common lingering behaviors seem to have a definite small event to mark their end rather than to just slowly trail off beyond perception. 1) A rolling cart, which rolls more slowly as it rolls, comes to an abrupt halt as it 'creaks to a stop'. The friction between the axle and wheel suddenly increases as the parts grab. Likewise, steady brake pressure on a car slows the car more slowly as it slows but brings it to a halt with a jerk. To make a smooth stop, brake pressure must be lightened as the car slows. 2) The flicking of the pointer on a wheel of chance follows the same pattern. The wheel goes slower and slower as it slows until the pointer grabs. 3) While trying to figure out how to say all this stuff, I accidentally nudged a heavy round glass ashtray off the arm of a sofa. It hit the wood floor with a bang and started its wobbling spin which damped quickly at first and then lingered a bit, ending with another, but much smaller, bang as on one wobble it hit the floor flat on and came to a rest. 4) In ageing as strength slowly fades, fading more and more slowly, some small event triggers others and life creaks to a halt. 5) As water leaks from a hole in a bucket it leaks in a smaller and smaller stream, turns to a drip and drips slower and slower until the last drop. 1) An imperceptible number of cells in a growing medium grows slowly at first and as there are more and more of them, there's more growing and the number of cells grows more and more quickly. 2 ) The amount of water flowing from a leak in a dam, either a big one or a little tiny one, tends to grow slowly at first but opens an ever larger channel and grows more quickly as it grows. 3) A rain shower starts imperceptibly at first with a few scattered drops and then comes on more and more quickly. Noticing the first few scattered drops gives you time to react before it starts raining in earnest. 4) A young growing plant's use of soil, light & dark, and water starts imperceptibly at first and grows to grow more quickly as it grows. 5) Notice of things tends to grow slowly at first from insignificant impression, and then as awareness builds, more can build faster and notice grows more quickly as it grows. Sometimes notice of things grows with a sudden burst and sometimes with a gentle blossoming. 6) A thin sheet, under enough tension (a soap bubble, balloon, net, cloth, paper, etc.) tears more quickly as it tears. If a tiny fault or break occurs, the forces its location were taking are suddenly transferred to adjacent areas which then tear and all the forces shift to new adjacent areas which tear even faster and the forces multiply and tearing quickens. With enough tension, any fabric finds its multiplying fault. In general, lots of things grow more quickly as they start growing, coalesce, or jell, more quickly as they start coalescing, react more quickly as they start reacting and pick up from imperceptible or insignificant beginnings and lead to significant results. All things come and go. A simple event, taken as a whole, is a smooth stepping through a standard sequence of four of these progressive chain patterns. Simple whole events generally begin,(l) with imperceptible or relatively insignificant events and quicken, (2) level off, (3) decline more and more quickly at first and then, (4) decline slower and slower and end imperceptibly or with relatively insignificant events. All whole events, no matter how complexly they may be viewed, may also be viewed as fitting into this same four-part envelope of rising and falling progressions. 1) A campfire begins with a quiet pile of wood and tinder and the relatively insignificant event of a match. As the fire begins to catch on it catches on more quickly the more quickly it catches on, as larger and larger flames light larger areas. As it continues, its burning increases more and more slowly reaching a more or less steady rate. As the fire consumes the wood and starts to die out its rapid burning causes it to die out more and more quickly at first but then its slower burning cools off the fire and it consumes itself more slowly and fades away slower and slower until a last flicker and then it’s a lingering bed of coals. Sometime later, if the coals aren't doused, there's that last little spark, or perhaps another building of flames. 2) The moisture in a cumulus cloud begins with a small flow of warm, moist air through a small opening that has somehow appeared in cool air layers above. The flow enlarges the opening and the flow of warm, moist air increases, further opening the hole and speeding the flow of air. As the supply of warm air below dwindles t the flow slows and the opening closes, further slowing the flow of air and moisture. The momentum of the rising air above does the final job of pulling up the last of the warm air in the opening and the cool air closes in. At this point the gathering cloud has reached its maximum amount of moisture and size. Some of the moisture condensing in the cloud gathers around tiny particles in the air. As-the droplets begin to swell they swell faster and faster because the surface area of the droplets grows, providing more area for gathering. As the droplets grow, they fall faster as they grow and more and more begin falling from the cloud. As the droplets fall against each other. As most of the wheel's momentum has been stopped, the catch and wheel push more and more gently on each other and the slowing slaws more slowly as it slows. The tick heard as the catch seats in the gear is rather sharp, but does have 8 tiny smooth rise and fall itself and so, as well does the abrupt grabbing it is the small voice of. 3) A small scrap of paper (or fleck of dust) blown off a surface is first caught by some slight piece of an air current and as it is caught, it is tipped up and is caught more and more and picks up speed more and more quickly. As it is fully lifted, its speed picks up slower as it begins to fully move with the air. As it tumbles and turns in moving with the air it may take a very long path by way of many different gusts or drafts but it eventually slips back toward a surface, in some way, more and more quickly at first, then as it floats down on a cushion of air just by the surface it settles slower and slower, gradually coming to full rest. 4) In unscrewing a jar lid (nut, bolt, etc ) at first it doesn't budge, then, with the right constant pressure applied, it starts to give and as it slowly moves its grip loosens and it moves faster and faster until its speeding up slows as it and your hand reach maximum turning speed. As your hand begins to come in touch with its turning limits, its turning slows slowly at first then more and more quickly as it meets more and more resistance. As the turning slows, the resistance to it decreases and the slowing slows and comes to a stop, as YOU release your effort and (or) the still present friction grabs. 5) Spoken words and sounds show wide but characteristic varieties of quickening and lingering patterns. In looking for the loop feedback progressions and the overall pattern of four in the sounds, it's a bit of a contest not to get lost in the forest of nerve system modulations and the ticks and flutterings of practically unimaginable things. On the simplest level, all sounds follow the progression of releasing a bag of wind. Air pressure finds an opening and opens it more as it flows, flowing and opening more quickly. As the opening reaches full size and the air full speed, its speeding up slows and reaches a maximum. As the air pressure drops, the opening closes a bit and the flow slows more and more quickly until, on the tail end the slow rush of air slows more and more slowly. In the many sounds of speech the active opening for this modulated rush of air dances back and forth between the location of the vocal chords, the tongue and the lips, creating complex successions of whole events with differing rise, pass and fall characteristics. In each whole expression of sounds or words there is something different being built up to and down from. That special quality of learning that allows us to see the pattern of wholeness of an1 expression by itself, as composed of an interplay of whole parts and also as a whole part of the progressions or events of other whole expressions, is really neat. There’s something about the incredible regularity of the progressions of change, not just the profusely varied and ever present coming and going pattern of four essential stages, but the particular regular quality of the quickening and lingering that either smoothly zips a big deal out of very little or that smoothly calms sudden change down to a sleepy crawl. The smoothness and puzzle of those progressions is that the changing thing always displays a key, constant, mathematical relationship to itself over time. Somehow that same smooth relationship to itself is both a sudden and a gradual change in relationship to its greater context. That key self-relationship is change by a constant proportion in a constant time period. It's the only basic mathematical relation that slips from constant 'nothing much' to a heck of a lot in a big hurry. It can be expressed in a variety of ways having the same basic meaning. If there are twice as many, every day (say as in cell doubling), the constant proportion is '2' and the constant time is 'a day'. If it’s 10% bigger every year (say the difference between two interest rates) then the constant proportion is 110%' and the constant time is 'a year'. Odd things happen when you take these things into a broader context. Twice as big per day is roughly equivalent to a billion times as big per month. Ten percent bigger per year is roughly equivalent to 16,400 times as big per century. Clearly, if taken far enough, change by any constant proportion gets out of hand, or, if not out of hand all together, then at least into very different hands. Constant proportional change is the mark of making a step away from the relevancy of the original context. Unending proportional change is the mark of making a step away from the relevancy of all contexts and isn't relevant. Constant proportional change is a losing of relevance to one context and a discovering of new context to find new relevance in and to be an event for. Regular change bv a proportion is a bridge, a bridge from one context of immediate relationships into another context of different immediate relationships. Progressions never seem to turn back, only forward through all the steps of completing a whole event. Mathematics offers no easy way to give us understanding of change but offers very easy ways to give us recognition of change. In this, the mathematics of steady multiplications offers highly super10r questions. For those issues which are changing contexts our previous understanding is now, or may soon be, totally out of, context and irrelevant. What' new context must I seek to understand to keep my understanding well founded? Great numbers of 'difficult' issues are difficult only because we attempt to apply irrelevant understanding. For example, having national defense-aggression forces assumes the historic understanding that some opponent might be able to profit from winning a war. Is that understanding still generally relevant in an explosively changed world? There seem to be lots and lots of significant opportunities for benefiting from these patterns. There's something odd though. 1 can't quite explain it but somehow I'm rather confident that the task of developing skills with these things isn’t very significant. It seems that all individuals are already very highly accomplished with their workings. Is it that our written arid spoken languages don't recognize, what we each personally understand as a matter of course, that, the real learning task is for them, not us? How does one teach one's deep understanding with a language? My own primary initial and continuing interest, and perhaps its most valuable general use, is in taking pleasure in watching the composing and weaving of spontaneous natural dances. There are also, among other things, varieties of ways to use these patterns to leverage a glimpse of insight for knotty problems of all sorts, personal and analytical. The most important of the levers seems to simply be the suggestion of framing the problem in the context of a Whole, with the recognition of the kind of contexts of relationships leading to and from. It's still a bit fuzzy to me but I think that this basic notion could lead to ways of outwardly recognizing wellness and problems with the same ease. Oddly, perhaps, but one of the ore valuable uses of these ways of composing images of natural patterns seems to be to serve up an impossible problem. If you peel off and add on enough loop chains and the layers of wholes that compose them and the chains that compose them, and peer deeply enough into the intertwining complexity of the inner and outer workings of the common place occurrences you find around you, you're likely to lose every last shred of absolute certainty about anything. Then, in fully tasting of the slipperiness of everything zipping inside and out all around and the fantastic webs of nothing deftly turning into nothing which thereby make up everything, perhaps it will occur to you that confusion is oddly preposterous, that everything one actually does see in nature is remarkably well situated in something or another, even one's own befuddled notions. It might occur that certainty isn't really needed for something to be well founded and perhaps, that one of the few things that isn't well founded at present is the demand for certainty itself. For me, these patterns have been a finding of how to exercise my demand for confidence in understanding and skip the one for certainty. I see no value (even for the above exercise) in pushing oneself to fit anything into these patterns that doesn't fit comfortably or otherwise isn’t a basic pleasure to see that way. What I enjoy are the spontaneous opportunities, which arise for gathering a gentle, non-analytical sense of something I'm participating in and sensing its strengths' and delicacies. Sensing the abruptness and gentleness of change and the precariousness and stability of situations and their closer and further relevancies, as that happens at a glance or in a thoughtful moment, seems to relate directly to the breadth of freedom of choice. What kind of choice? The fabled Dutch boy who put his finger in a leak in a sea wall envisioned small things leading to others that really mattered and that he could affect then but not later. The mother who notices her children drawing each other into a bad argument and quickly whips up a batch of distracting lemonade does so from a perspective of how things progress. Both the building and decaying of things can be 'nipped in the bud' if you sense a precarious context and the whole event it plays into. Similarly to the 'stitch in time' that preserves something is the 'seed in time' that, with the same perspective of events, triggers a building up at a desirable moment. Of course, most seeds bear unexpected or no fruit of notable sort, and lots of stitches pull out or other sides burst, but that’s the breaks, and a tidbit to add to the balance of understanding. Perhaps more intriguing is the art of applying inaction. While somewhat illusive, it is often suggested to be the more potent freedom of choice compared to applying delicate action. Letting events take their course without becoming involved can be the more significant involvement. Inviting rich subliminal events by qualities of silence is a polishing of an art. To me there is nothing that is inaction; there are only some delicate chances to find or miss special gentleness. Polishing? One might jiggle the back of a chair to see what you're about to sit on. When the world around isn't doing it for me, I sometimes tap and jiggle things, perceptions and ideas to see if they're strong, see what they spin off and into and, of course to give an ear to some of those inner harmonics, rich colorings and other assorted tidbits of the abundant wealth of cosmic gossip. All things come and go but some stabilize for much longer periods than they took to develop and some terminate very quickly during development. Events of these sorts which go to completion in situations where there appears to be ample resource for development well beyond that which is consumed are generally what I call 'very special events'. Very special events point to the initially invisible essentials of the internal loop patterns of which they are composed. These essentials are resources of a different kind; they're pattern resources. In the first case, self-leveling progression, the central characteristic is that the growth is limited by the internal loops 'staying in step with each other. In the second case, self-collapsing progression, the growth limited by the internal loops 'getting torn out of step' with each other. Hidden within those last two statements is the statement that while opportunities for growth expand with growth, that opportunities for growth also shrink with growth, if for no other reason, then necessarily for the reason of exceeding the response time of internal workings. When some 'insignificant' unusual event occurs in a system of interdependent workings stressed to the limit of their ability to respond, then calamity can be contagious. When the workings of the interdependence become feverish, disorder can propagate as fast as the internal workings. Imagine an old fashioned bucket brigade, a long line of people passing buckets of water to out a fire or something. If the buckets were passed faster and faster and a rhythm of tossing the buckets developed and still the passing went faster, at some point a throw wouldn't quite be right and the person to catch would stoop to reach it and in the time lag of stooping, might catch the next one in the head. The person who threw it would probably hesitate in looking toward the one hit and might get hit in the back and so on down the line. In natural systems networks it is normal that intimate connection is not just at the ends of a particular chain of events but interlaced as if a family of crisscrossing bucket brigades where each member passes and receives in more than one direction. If these other intimately connected relationship chains were also hurried to the point of precarious intolerance, then the minor fault of one bucket missed could propagate wildly, bringing the whole system to an abrupt halt. Had the whole system developed, instead of for ever faster passing, for ways of passing which keyed directly to readiness for receiving, not only might a greater (though later) maximum rate be achieved but the radical precariousness of the process would be avoided. The Whole, now highly tolerant network could continue for a very long time. Here is stated a very important but sometimes illusive principle: that such a chain is both a chain of passing full hand in one direction and a chain of passing empty hand in the opposite direction simultaneously. For each set of hands the sequence of exchanging full and empty hands can be seen as an integrated sequence of two whole events, one of receiving, holding and passing empty hands and one for full hands. Each of the four progressions of each of the two interlaced passings, which compose the loop of some progression of some event, are themselves composed of loops of Other sorts of interlaced passings etc. It appears that when there is too great a relative concentration of one or the other event or too fast or too slow a succession of both that the pattern of passing breaks down. When the breakdown is very sudden there is, initially at least, a considerable remaining impetus for new chains to form. While this passing analogy can be taken quite a bit further, resolution of any real event or behavior down through more than one or two layers of these chains into the inside or outside context seem truly futile. Luckily there's such a thing as qualities and characteristics which can serve as approximate understanding of chains of behaviors too remote to directly view. This seems like a setup for a strict good-bad separation but not so. Self-leveling behaviors can often be seen as self-entrenching to connote some of their negative aspects. Self collapsing behaviors also create bursts of new opportunity for, highlight, and strip inflexible parts by fracturing from, underlying flexible systems. This is one of the reasons for the ‘very’ , in very special events. Another of the reasons for the 'very' is that the perceived direction of fate of the internal pattern can vacillate back and forth frequently on the path toward realization of stability or collapse. One seems to frequently end up with, 'I guess if it wants to it will', and then relating to it according to how one wants to, rather than hopelessly frustrated by indeterminacy or jumping to conclusions. SMALL BUSINESS: A new business with a large untouched market may grow faster and faster as it grows and then taper off to a point where it has developed an amount of work and a work rhythm that is satisfactory, leaving the rest of the field untouched. As the business first grew, an uncritical observer might have only noticed that there was a very great resource for the business to develop. A careful observer might have noted that much of the capacity for growth came from arranging work habits to gel into smooth rhythms and that the comfortable progress of growth would follow from the gelling of new rhythms, rather than product demand. Had the businessman, himself, been the uncritical observer, he might never have noted how the pleasure in the work started slipping as the work got forever twice as big. He might have continued to let the work multiply with hurry to a point where he suddenly got confused and fed up with juggling the whole affair. He might have quit or made fatal mistakes, blaming all his frustrations on the immediate irritants (whose only fault was in working with him) and bring business to a sudden end. In doing so he would send his employees scurrying, possibly thereby seeding a variety of approaches to the same market and business. In both cases, initially insignificant underlying progressions changed the overall progression in a profound way. In the first case new balances were found and became most significant. In the second case old imbalances were found and became most significant. ARGUMENTS: Some arguments start with an insignificant hint or issue and build up by leaps and bounds, amplifying the initial supposed cause way out of proportion and end suddenly in the crash of a slammed door, receding footsteps and a sense of loss on both sides. Such arguments usually follow a path that finds both contestants reaching for ever heavier artillery of ever sloppier and incomprehensible quality. That unwittingly reinforces the other's position and rigidity. Arguments where the building up artificially hardens and strengthens opposing positions are 'sure to lose games' for they ignore the argument's source in confused expectations and lead to ever more. Breaking out of such games can sometimes be done neatly by letting the rebounds become even more ridiculous so that the argument breaks before the people do. Some arguments start with an insignificant hint or issue and build up faster and faster as sides are taken and the extent of the conflict is more and more quickly discovered. If the extent of the issue can not quickly be grasped, the argument may reach a plateau of mutually acceptable intensity and then proceed to sweep at a steady pace in broader and broader circles around the extent of disagreement. If the disagreement is extensive, as the exploration continues it probably resolves into a central issue of unreconcilable difference of opinion which ties together the extent of the controversy and becomes a focus which the future of the relation can clearly and easily refer to. Arguments where the building up broadens and relates opposing positions are 'sure to win games' for they eventually resolve the confused expectations that made it build up in the first place. BUILDINGS: Building a building is, in many ways, more importantly the building of the empty spaces between the parts of the building. The finished building as a whole is that thorough integration of the visible presence of materials with the invisible presence of opportunities. In truly fine buildings that will be delighted in and cared for a long time, both the visible and invisible are direct products of each/other. Buildings, where little concern is given to the materials but direct expression is given to their opportunities may still be fine buildings and be held together somehow to sponsor full and rich experience for a long time. A building fine only for great attention paid to its materials is dead the day it is finished and remains as little more than a lifeless record of a special but hollow experience for a craftsman. SOCIAL ENTERTAINMENT: In lots of social situations there are pleasures to be had in starting from an innocent comment and building tensions or expectations purely for the excitement of leading up to their point of suddenly breaking with another innocent comment. There's also much pleasure to be had in arranging situations that develop to a (mellow, bright, exuberant) pitch and hold it through a long period. Without the normal highly balanced orchestration, things can get out of hand and run wild, either as the crowning achievement or the demise of the affair. TREES: Most trees grow faster and faster for a period and then as they reach a certain size slow bit by bit, stopping as they gradually succumb to disease and eventually collapse as the trunk and roots decay. Some trees grow fast enough, long enough so that they just fall over while still healthy and most rapidly growing, such as some stream bank willows. Some trees grow to a certain size and then slow their growth to a barely perceptible crawl and live especially long lives like the bristlecone pines. SEA & LAND SHELL ANIMALS: Mollusks with shells seem to all share a shell growth pattern of adding crescent upon crescent of shell where, through much of the life, each layer is proportionally larger than the one before. The systematically expanding spirals or fan shapes of shells are one sculptural equivalent of the quickening of proportional growth. Some shells seem to reach a static maturity as evidenced by dramatic changes in the shell growth pattern such as special ending curls, spikes or flaring like conch shells. Some reach a steady growth maturity such as the 'finger tip' growth of some razor clams. Many shells show no evidence of a slackening of proportional growth whatever suggesting that the animal died at the time when it was growing the fastest. Though I know on none in particular. I would guess that the last thing that some of those do is lay their eggs, using a last spurt of the growing burden of growth. 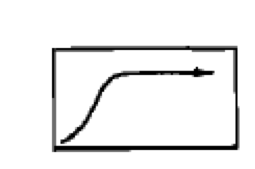 FLUID FLOWS: Most results of instability in passive fluid flows can be generalized by the following two spontaneous airflows. In a quiet space, with a calm horizontal warm air layer below a cooler air layer, there isn't any opportunity for the warm air to rise because of equal up-down pressure at all points on the boundary, but the balance is unstable. As soon as there is a slight bulge in the boundary, for any reason, the motions become dynamic and the bulge of warm air rises, faster and faster, growing in proportion it's imbalance with adjacent cooler air, in proportion to its own size. As the localized building rush of warm air multiplies it abruptly reaches a point where its rate of propagation is still growing but its supply of warm air is relatively shrinking. The rapidly flowing center of the rush then draws from the next most readily available source, the column of warm air, which is its supply base, and the rush abruptly necks off. The flow from the remaining warm air stops and the rush, now torn loose from the flow, continues propagating upward but at a declining rate as its outer shell layers are cooled and sloughed off in passing. If the rush were near a vertical pole a very different sequence of events would follow for the vertical surface would act as a wick for the warm air. The quickening flow wouldn't have the chance to completely neck off because the thin boundary layer of warm air adjacent to the pole can't be fully drawn away. In some cases the flow up the pole will quickly grow to a maximum and then level off in balance with the supply available from the warm air layer. After a period the flow would then slow and come into constant balance with whatever rate the surfaces below are heating the warm air. Sometimes the flow up the pole would pulsate and, or, draw the warm air from a variable local surface area in opposing balance with other flows. What happens further along the pole or at its top is a repeat of the same choices with slightly more complex conditions. NATURAL SCALE: The mathematics for proportional changes displays some hard evidence for the eventfulness which accompanies them in the natural world. 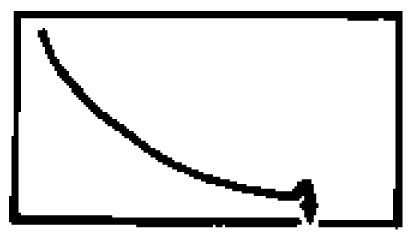 One central curiosity is that the apparent shape of the resulting simple growth curves, their sharpness or gentleness of curvature at the single bend, depends wholly upon the choice of the scale selected. The same natural behavior, seen at different time scales, appears to be a very abrupt change or a very gradual change. 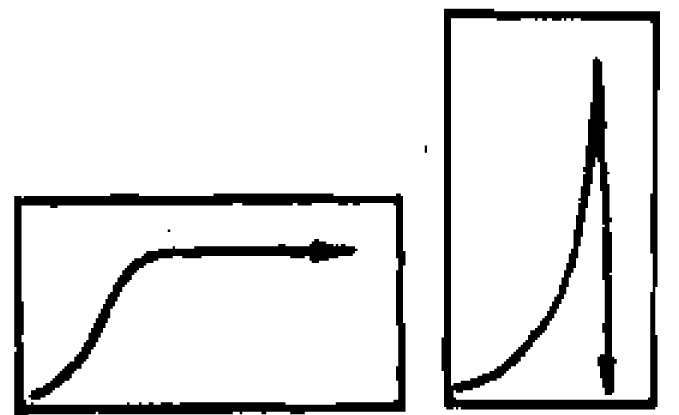 All proportional growth curves, both apparently smooth sweep and right angle leap, seem like essentially the same curve, just viewed at different time and dimension scales. The surprising and significant twist of the mathematics is that though differences between curves seem to be only a matter of arbitrary scale, the relationship of the curve to its underlying rates of change varies strictly according to a naturally self-defined scale. A gentle and an abrupt proportional growth curve are inherently very different curves because their internal relationships are very different. Viewed at a scale longer than a certain self-defined normal scale, the internal rates of change are much faster in change than the curve. Viewed at a shorter time scale the internal rates are much slower in change than the curve. At the balance point, the normal scale, the underlying rates are all the same as the curve. To see the significance of this property for natural events consider the situation of driving a car at a slow but increasing speed. If the car is speeding up slowly but its speeding up is speeding up quickly, that's significant. It's very significant whether the underlying rates are higher and change can be expected to be more and more sudden or whether the underlying rates are low and the change is inherently gradual. That significance is relative to the natural time scale of your and your car's responsiveness. If you were a slow reacting person, a faster set of underlying rates might cause you to loose control even though the initial rate and rate of change were quite within your range. It's not so much acceleration per se, but the quickening rate of acceleration that is the sense of abruptness you feel in sudden change. NESTING OF EVENTS: Other very significant patterns arise from considering the internal rates of change of whole events (derivatives) and the progressions of which the event is a rate of change (integrals). While this subject is probably much better approached from the basis of very carefully studied records of natural events, there are two characteristics which seem noteworthy to mention. The first of these is that the derivatives of natural whole events display a profusion of shorter time duration whole events. These rate events constitute a whole pattern onto themselves, the pattern of leading events, the underlying changes within the whole change. There may be many events that turn up but it seems generally that there will be at least twice as many on each successive drawing of the next underlying rate. 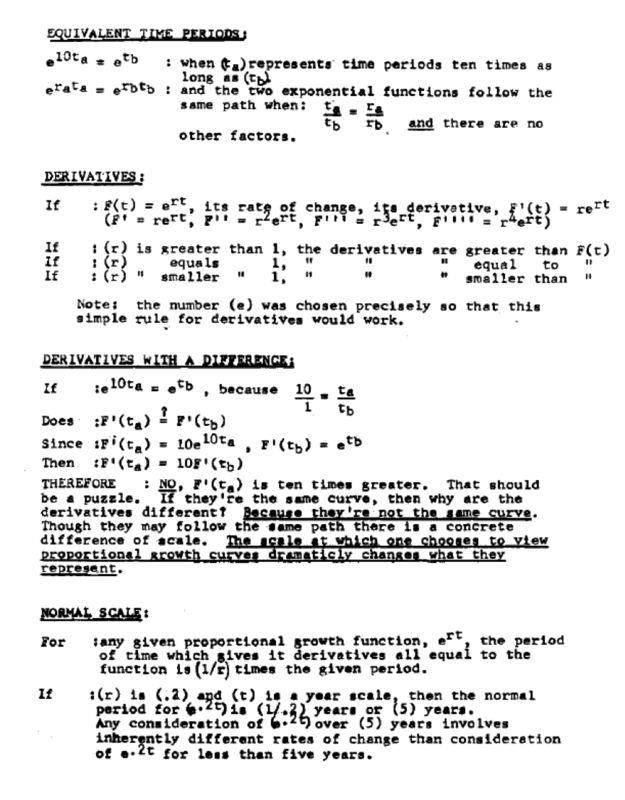 The second characteristic of interest is that as derivatives are taken, the progressions which compose those underlying four part events are necessarily considered by us over time scales far greater than their self-defined normal scale. The events appear more and more abrupt and their progressions appear more and more like right angle discontinuities with no progression visible. Sudden change with no progression relevant to another scale of time amounts to absolute unpredictability. That this occurs in the underlying rates of all events defines a scope of relevance and a measure of natural and observational uncertainty. On the other end of the nested rates scale, the overlying rates, the integrals, there is a similar end point. By a slightly different progression successive integrals of an event also approach right angle discontinuity. From all this may arise a special respect for the nature of the circle and its propagation, the sine and cosine curves. Mathematically they never change form upon successive integration or differentiation. What could imaginary growth have to do with combining a real and an imaginary circle? (n) relates to the same units of time as (t). 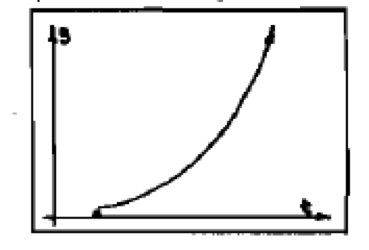 Fs (n) is a dotted line and (eft) a smooth curve. An ABRUPT proportional growth can be defined as one which continues beyond one normal period without substantive change in the growing behavior. A GRADUAL proportional growth can be defined as one which continues for less than one normal" period without substantive change in the growing behavior. Note: the underlying derivatives of an abrupt growth are multiplying faster than the growth and that rate of multiplication multiplies as the number of normal periods is extended. 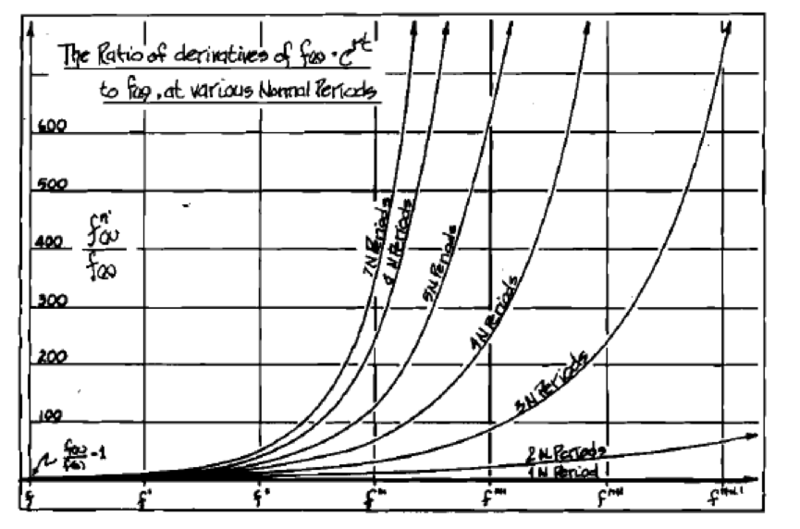 The above curves show how, as time passes for a growth process, the internal underlying rates diverge exponentially. The rule of 'NUMBERS FOR A CHANGE', that multiplying growth is a stepping away from the relevance of the original context, also applies to the internal context of balanced relations between leading events. As the scale of change in original leading events diverges exponentially, their relationships to each other necessarily end as they become irrelevant to each other. A continuing growth process becomes a multiplicity of growth processes with a full spectrum of self-defined normal periods. NOTE: This description has no direct application except to define a standard of comparison for the outer bound of possibility and the inner bound of necessity. AN EXAMPLE IN THE PRESENT (1979): Our country's economy has been growing at about 4% per year real growth since it was founded. As growth has continued the economic system has been substantively altered at various times as profound changes were incorporated into the old system. Since early in this century when modern banking and transportation were founded, relatively little about the basic mode of operation has changed, just its speed, and with computers, the ease of high speed in certain confined sectors. Our individual values and decision waking processes have changed relatively little. (4%) per year represents a normal period of (25) years. Our basic system has grown for about (3) normal periods. To consider the relation between the overall trend and the under- ng trends which sUP80rt it, the formula to consider is 1 (e3tn) rather than (e 04ty). (F(t) = e3t, F' = 3e3t , F" = 9e3t , F'" = 27e3t , F"" = 8le3t) . The effective internal rates of a (4%) per year growth of a single system carried over 75 years are (3, 9, 27, 8l,···)'times as fast as the base growth or effectively (12%,36%, 108%, 324%,···) per year. Those explosive rates of change are centrally lodged in the basically unchanged parts of our growth system, somewhere in those little response times of empty-full hands passing that lie deep within the system. Where are they? 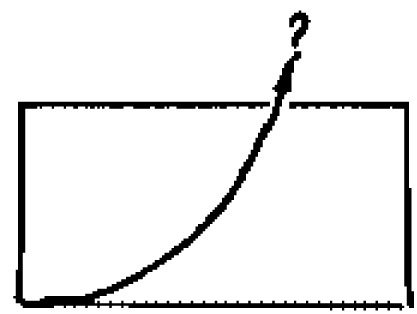 The process of economic growth (F(t)) is an expression of the much greater whole system of events of investments and developments (like F’). The events of making and exchanging product are the expression of the much greater whole system of events of people responding to their surroundings (like F’’’). The events of people responding to their surroundings are an expression of the much greater whole system of the events of thought and observation (Like F’’’’). You may have noticed that greater and greater numbers of complex and vital, personal and national choices seem to be dropping into our hands these days. There seems to be very good reason for such an impression. The fourth derivative, figuratively speaking, is knowing what to do next. What to do next is to relieve the demands of overall growth so that at least a few of us fourth derivatives can get a decent glimpse of things. We need a break from everything whizzing by so explosively faster. A very likely way to do this would be to take the portion of product normally used to make the thing grow explosively faster and commit it to healing, for making it run better. If we don't, how'd you like, in the year 2000, to have your demands for response to be growing at effectively l024% per year? Clearly, if it came to that, we would, as it seems increasingly prevalent, stuff off most demands or dispose of them with slipshod blanket categorization, rather than directly address them. I don't think it would come to that though, something else would happen first. Thought and language have always been a most particular joy and pleasure to me, but as with many things of one's particular pleasure, the destructive parts of one's world are particularly noticed. BLINDERS IN THOUGHT: Thoughts come and go. There are many ways and styles of thought and reasoning observable in people and oneself, but underlying all of them is one. All thought and reasoning is done by the basic 'whatever pops up next' method (perhaps in many layers) where notions 'come out of nowhere' and gain recognition. Notions do arise. No notion arises or departs instantaneously nor reaches infinite proportions nor stays forever. Thoughts follow the four-step proportional development pattern of whole events. The spontaneous activity of thought seems to be 'seeds' of notions, which are 'nurtured' in the 'soil' of the unconscious. The quality of thought draws from the quality of the soil, seeds and nurture. The quality of thought is good as it is good in both its patterns of interlacing the 'inside' contexts of subconscious and conscious awareness and in its patterns of interlacing the 'outside' contexts of observation and action. Low quality thought seems to frequently draw from one particular pattern. It seems appropriate to characterize destructive thought as following from the bain of heavily biased perception which tends to greater and greater distortion of observation of oneself, the greater context or one's action in it. This occurs generally when the mind's characterizations become a closed loop, feeding only to and from themselves, with no new 'feed-in' or 'feed-out' but only 'feed-back'. The ease of drawing certainty of perception by means of feedback is not a good trade for a mind which becomes ever more divorced from its life contact with reality. If you effectively determine your own observations by how you look at things, your mind effectively sees none of the things that tie you in with the world. It's easy to observe that minds are tremendously responsive in coloring to the point of painting over observations with preconceptions. One has only to look to the myriad of examples of internally satisfactory ways of organizing every 'observation' of the world which are never-the-less in vital conflict with each other. (It's red. No it's blue. No it's red. No it's blue… a stab in the dark). One would expect tremendous diversity, but not vital conflict. My inclination has become to, but rarely, value coloring my observations with any more than the slightest and least forceful seeds and nurture. If the patterns of the world observed are responsive to seed impression, the seed will multiply very well indeed and needs no pushing. If the two aren't responsive to each other, then the observation is still undistorted 'good compost' for future thought and the ill-fitting seed doesn't hang around to cause trouble. It takes great patience to find that delicate and changing balance point where seeds and nurture of notions don't overwhelm observations. If you're observing delicately, half the seeds might not grow, half your observations might issue no conscious thought. For good balanced thought one needs the freedom to observe without perceiving anything in the observation whatever. When on either a path of rapidly spontaneous real awareness or delusion, most perceptions seem to reaffirm themselves. Applying self-doubt seems to result in a bell like ring from true awareness and a defensive jerk from delusion. It's those jerky rings that get you. I simply observe them. BLINDERS IN LANGUAGE: The quality of language draws from the quality of sharing of ideas. A primary opportunity for outward distortion of good thought in language is that it is very easy for us to view what we recognize as being in the subject we're addressing rather than in our interplay with it. It's altogether too easy to fail to notice that beauty, truth, reason, etc., lie in between ourselves and what we're referring to. True perceptions are a loop of interplay between ourselves and a part of the greater context. In perceiving we reinforce the interplays with the reference so quickly that they appear to arise from what we refer to. True perceptions are not in what we refer to but in the interplay between ourselves and the reference. No statement is true save as you build the truth with it. No object or idea is eve beautiful save as you build the beauty with it. When someone denies our statement (that something is ••• ) it's too easy to take it with indignation, as an insult, a denial of the interplay we personally experience. More properly the divergent response is just a sign that the interplay of truth with regard to the reference isn't occurring for the other person. That may be because there is more than one way to see it or that essential parts of the true reference lie exclusively in one's mind, totally unapparent to the other person or even to oneself. It seems often times that the response of indignation plays on the other person's desire to be agreeable and pushes them into submission to the statement. It pushes them to accept that the truth of the matter lies in the reference alone and not in an interplay of recognition with the reference. The statement becomes hollow truth. The other person, having outwardly accepted that truth lies in the reference alone, is put into a precarious position of advocating statements in which they find no truth and defending themselves against exposure of the guilt they feel for their groundless advocacy. This leaves the statement having little sharing of ideas with the originating expression. In successive generations of submission and adherence, the statement changes according to its service to its now true expression. This leaves no sharing of ideas with the original, only a sharing of guilt and ignorance. Parts of the language become stripped of their potential to serve as a focus for clear meaning. The silent 'between the lines' arts which prosper from guilt motivated adherence to the unknowable prosper. Cancers on the rich (and seemingly greater) sharing which flows entirely between the lines, and there are no words to address them with, invited by accepting that truth is what is said, not what you recognize. To me it's a marvel how finely the language serves at times, despite the necessary base service and specific meaninglessness of 'unquestionable authority'. All statements are questions; what do you recognize? All information is original; what does it draw from? For good, balanced language one needs the freedom to speak, and let the meaning be only what is created by the listener, listen, and let the meaning be only what you recognize.